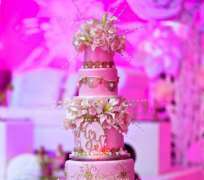 Photo snapping and sharing on social media is a huge part of weddings in Nigeria today. If you are getting married anytime soon, there is a high chance you are already brainstorming your wedding hashtag. Indeed, creating a unique and personal phrase that guests will use on Instagram and Twitter to round up pictures of the big day, has become a normal part of wedding planning for modern Nigerian brides, but coming up with a unique and catchy hashtag can be tricky. Getting married and tired of cracking your head trying to find the perfect phrase? Jumia Travel , Africa’s No.1 online hotel booking portal gives the scoop on how to create a successful wedding hashtag. You really do not want your guests and friends to get the hashtag wrong, so it is important you make it easy to remember. This means using short and simple phrases or words that most people can easily relate with. Also, stay away from words that are tricky to spell as that will create opportunities for your guests to misspell something, leave out a letter, or confuse the order. Basically, make it really catchy and easy to remember that way you do not miss a snap. Do not be afraid to have fun with your hashtags. You can add to its appealing factor by making it funny or a little bit bizarre. You can even get creative and turn it into a pun. Think about phrases that have words that rhyme with your names, or brainstorm synonyms to use.